New Zealand Football is deeply saddened to hear of the passing of three members of the football and futsal family. Futsal White Atta Elayyan, the 33-year-old goalkeeper, who had played 19 A Internationals for the Futsal Whites, was one of the victims of the terrorism attack in Christchurch on Friday afternoon. 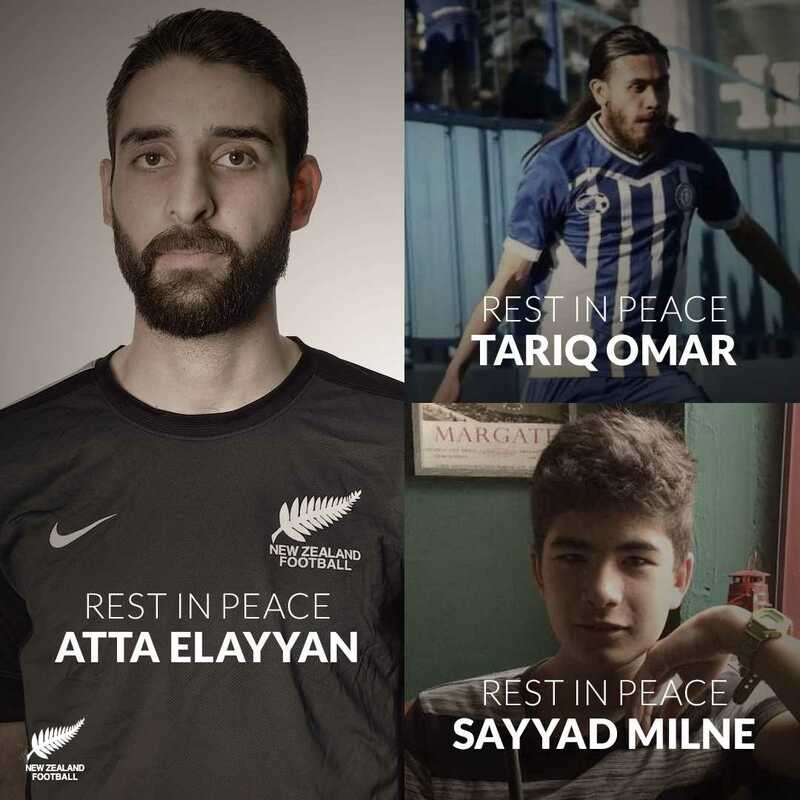 New Zealand Football is devastated to learn that Mainland Football members Tariq Omar (24) and Sayyad Milne (14) were also killed in the attack. Elayyan was praying at the Masjid Al Noor Mosque next to Hagley Park when he was shot. He has been confirmed by his family to be in the 50 people killed in Christchurch. New Zealand Football Interim Chief Executive Andrew Pragnell said it was a sad day for New Zealand. He was thinking of all the people involved in the tragedy, the Mainland football and futsal community, and most importantly Elayyan’s family. "The further news of Tariq and Sayyad also being killed in this attack is shattering and our thoughts and prayers are with their families." Josh Margetts, the Futsal Development Manager at New Zealand, was a team-mate of Elayyan in the Futsal Whites and was devastated to hear the news.